The Salvation army is a highly visable organization that helps millions of people across America every year. Most often the public knows The Salvation Army's red kettle Christmas campaign or knows to drop off their old clothing at a Salvation Army Thrift Store, however it may not know the specific details of who we are and who we serve. No, we are a group of committed Christians who are concerned to see that the gospel - the good news of Jesus Christ - reaches the needs of the whole person. The Army's social work sprang out of such concern. The Salvation Army pledges to help people of all religions, as well as those with no religious base. We have an official "position statement" that says: "All social welfare services to individuals or families are given without discrimination, according to the capacity of the organization to serve in meeting the needs of those involved." I can't make a financial contribution right now. How else can I help? The Salvation Army makes every effort to ensure that the maximum possible amount from donations reaches those in need. Locally, approximately 91 cents of every dollar we collect goes in direct assistance to the homeless, the mentally ill, the physically challenged, victims of drug and alcohol abuse, and others under our care. Because of the wide scope of the services we offer, The Salvation Army is uniquely positioned to think in terms of long term solutions to social problems. We certainly continue to meet the short term needs of individuals for food, shelter and clothing. Our long term care services provide a continuum of care based on the philosophy of "aging in place" wherever possible. It is very likely that there are people in your community that have been served by one or more of our many services. Please see our Locations for more information about Salvation Army centers near you. Mainly because it gives us an "open door" to service and because the uniform tells everyone that the wearer is a Christian who will be glad to help. Also, we've never heard of an Army without uniform. Salvationists find that the uniform is not only distinctive, it is practical as well. Why should I help people on the street when they won't help themselves? There are currently well over 1 million soldiers of God within The Salvation Army worldwide. This includes volunteers, officers, and employees; and this number is growing. Literally thousands of people participate in The Salvation Army's good deeds in the Eastern Territory alone. 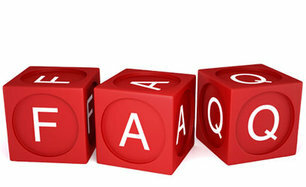 We would love to address any other questions or issues you may have. Please send us an e-mail and we'll try to get you the answers you need.